Parenting has an evolutionary endpoint: at some point, our children will leave the family nest and fly out into the world to carve their path in life. 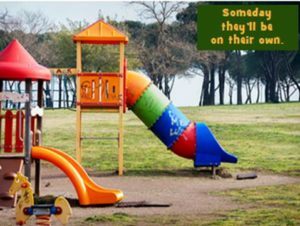 Even as we change diapers, read bedtime stories, or tuck them in, we know someday, they'll be on their own. When that time comes we want them to be ready. How do we prepare them for this independence? Strong family values provide them with a secure foundation. They'll need confidence, competence and courage. Confidence grows from competence. Competence emerges from practice. We know directly from personal experience that these emerge only through persistence and the ability to learn through failure. We also recognize that it takes courage to learn anything new. With this awareness in mind, we want to help our kids experience life as a learning conversation, to survive the process. They'll need to develop a strong sense of resilience. No one begins as an expert, so they must be willing to try new things and keep on trying until mastery is achieved. Encourage their persistence by setting an example. Let them see how you handle the rocky, uphill road to success. Share your strategies for coping through the hard times. Most importantly, when they struggle or falter, be supportive. Be their cheerleader; let them know you believe in them. Be their confidante; listen to their struggles and allow them to figure out the solution. 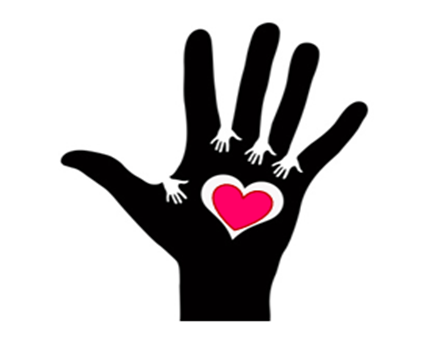 Be a resource: offer help only after they request it. (Language counts here. Ask if they want help instead of asking if they need help. "Want" reinforces their sense of agency and self-determination. "Need" reinforces their lack of sufficient capability; over time this mindset can lead to a sense of learned, chronic helplessness. Be a coach; Stay mindful of the distinction between critique and criticism and always wait for their invitation to offer your perspective. We recognize success doesn't just happen; it takes effort and time. We learn through trial and error. We value teamwork and persistence. No goal is worth sacrificing your integrity. Of course, we hope to raise children who are happy, healthy and, successful. each family envisions a unique version of success. Keep in mind we spend most of our time pursuing a goal than in achieving them. How do we treat others and ourselves as we advance toward success? Remember to nurture their spirits. Value relationships more than being "right" or successful. Make time for joy. Long after we are gone, our words will linger in their minds; speak with compassion, respect, and love. Attention is the currency of human connection. We all yearn to be noticed, to be seen for our authentic selves. It's human nature. As parents, we regularly experience our children's desire for us to look their way. Watch me, Mommy! Look at me, Daddy! Sometimes their need for attention can feel like an insatiable hunger. Effective parents recognize attention-giving as an effective parenting tool. They utilize their children's need for attention by heaping attention on desirable behaviors and by ignoring behaviors they wish to extinguish. Unfortunately, the need for attention can devolve into a desperate need for approval. Kids can fall into the habit of excessive approval-seeking. Self-satisfaction, the pride of accomplishment, the pleasure of learning all can fall victim to the over-weaning need for approval. How can Intentional Parents avert this undesirable result? Consider one of the most common ways American parents deliver attention: through comments steeped in praise. Great job! Good effort! We enjoy giving praise; they enjoy hearing it. Sounds like a win/win. But is it? Let's look deeper and see. Imagine our child calls out for our attention. This requires us to pause what we've been doing, note their action and make them the focus of our attention. If we do this, we'll fulfill their need to be seen. 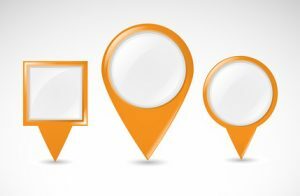 This will enable us to make a connection by spending something far more valuable than money: our extremely valuable "undivided-attention currency." Their goal to feel "seen" will be filled. What results accrue to our side of the equation? What benefit will we get? Is it the one we truly want? If we constantly offer attention that has a judgment attached--either positive or negative--we'll vest our kids on obtaining our approval and/or avoiding our disapproval. They will perform for us. But is that the true goal of our parenting? Don't we really want them to mature into self-motivated thinkers, who will follow family values, make choices and engage in action because it is what they perceive as the "right" thing to do based on their own internalized, moral compass? We believe there's a better way of expressing our attention, a way that helps kids feel noticed without "addicting" them to praise. 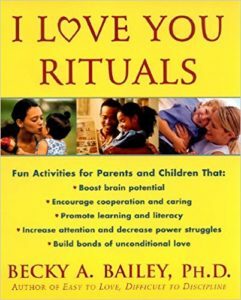 Dr. Becky Bailey, originator of the Conscious Discipline theory and author of several books offers many practical and emotionally positive strategies. Although her main focus is the classroom, parents and caregivers can learn a lot from her strategies. She suggests that adults notice or narrate without adding an element of judgment or praise. Instead of I think you did a great job! say, You worked and worked until you finished it! Instead of, I love it! It's an amazing Lego© construction! say, You spent a lot of time working on that! Instead of, That's a terrific drawing! It's a...house, right? say, You used lots of color in that drawing; tell me about it. Instead of, I'm proud that you helped Michael." say, You noticed Michael needed help and you helped him. In our family, we all try to help. Feel the difference between the two sets of comments. Notice that the focus is on the child not on adult opinion or evaluation. The narrator-style comments still provided the child with the attention he sought. They centered on traits the adult wishes to nurture or help the child notice about themselves. Each time they have a noticing experience, these values and traits become more deeply internalized. Over time, narrational comments help build up a sense of the child's identity as a "tryer," "completor," creator, thinker etc. With this method, our attention focuses on reinforcing their skill sets and inner qualities. It's about what we see and what they think. And we do want them to be thinkers. And tryers, creators, practitioners of our family values. Big distinction. Kids who are overly invested in praise and approval, fall into a pattern of doing things only when they have an audience. Or, the corollary of this, they become sneaky and only observe the rules when they think they might get caught. Some develop an inability to make decisions because they're overly focused on approval or other people's opinions instead of their own inner moral compass. Being able to trust themselves, to learn good decision-making skills and to engage in life as a "learning Conversation." It helps kids build internal resilience because they know parental approval and acceptance are not conditional. As a grandmother who has the opportunity to care for my grandson several days each week, I have had the opportunity to observe the power of this shift in adult/child interaction. It is stunning. I can also say, that turning off the autopilot of praise is challenging but so worth the effort. Changing deeply ingrained habits takes effort and persistence. I love it when I ask him, "Who's a tryer? A helper? A hard worker?" and he names himself in reply followed by the names of the rest of our family. Barely three and he has internalized the belief that he belongs to a family that values effort and compassion! Daddy is going to school tonight. Even though he's tired, he's going to learn how to do his job better. I don't know how to do that, so I'm reading this book to learn. I want to feel healthy, so I'm doing my yoga practice every day. I'm learning ______, so I need to practice it every day. This task is hard. I'm going to keep working at it until I figure it out. In this family, we help other so I'm watching Susan while her mother goes to the doctor. In this family, we always try, so I'm going to try again. Those are just a few ideas. When we allow kids a peek into the times that we are being persistent, determined, tackling stuff even though it is hard, we offer them an observable model from which they can learn. Interested in learning more about Dr. Bailey's work? Last month we focused on accumulating information to underpin some intentional change-making. Today's tips can help you implement change even if you didn't participate in last month's series. (It's not too late to follow the exercise outlined in the series, define a goal, implement your resolve and begin. ) We ended the series with a final question: What will be your first action step in response to this exercise ? Let's stipulate that your first criteria was tuning into your Core Values. What principles determined which step you decided to take first? Some folks choose the change they think will bring about the greatest shift. Others select the one that connects with their heart most deeply. Some people elect to begin with one, small step to which they believe they can and will commit. (That's an important distinction: ability versus intention and follow through.) And some will choose based on the change they expect will get the best "buy in" from their entire family. All are good options; the essential thing is simply to take the first step. Tip Number 1: Choose an intentional frame for your selected change. How we view change can also affect our response to it. Pause and seriously consider what metaphor comes to mind when you consider creating changes in your family dynamics. Does it feel like jumping off a cliff? Climbing a mountain? Herding cats? Paragliding over the Pacific? Setting humor aside, one can easily see that viewing change through a lens colors the way we experience it--with dread, enthusiasm or fear--or a combination of similar emotions. Tip Number 2: Remember that change takes time. 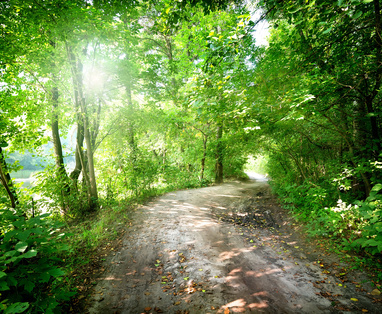 Allow yourself and your family time to find their new footing and for a new balance point to emerge. Imagine for a moment a large jar stuffed with several balloons. Whenever one balloon is squished, shaken or moved, all of the other balloons will reflect that motion in some way. Similarly, whenever one person in a family changes in behavior or attitude, every family member responds. Some will welcome the change. Others will feel threatened, frustrated, annoyed or resistant. Tip Number 3: The only person whom we can compel to change is ourselves. We can invite, persuade and encourage change in others but the decision remains theirs. Even when no one else embraces the suggested change, it is still possible to make a difference in the family dynamic. Merely by focusing on one's own change process, a shift will occur. Because we behave differently, others will receive different "input." Consider this example. Decide to remain neutral when a teen vents and uses deliberately provocative speech. You're not my real mother and I hate you! The most typical parental response tends to be anchored in hurt feelings which then lead to angry words, righteous indignation and "consequences." While those reactions are understandable, they tend to inflame the situation and to give power to those words. This increases the likelihood that the child will use them again because they succeeded in unloading their pain and anger onto the parent. By not reacting, the inflammatory words lose their power. Thus, it is less likely to be the "go to" phrase they'll use in the future. Something even more powerful can happen however, when parents don't bite the bait and instead listen and then respond with genuine empathy. You must feel very angry. Usually the child will respond with still-angry words. However, instead of arguing about "realness" the focus becomes a validation of the child's feelings. Things tend to de-escalate. Later, when emotions have settled mother can address the disrespect. Tip Number 4: Value the relationship more than "being right." 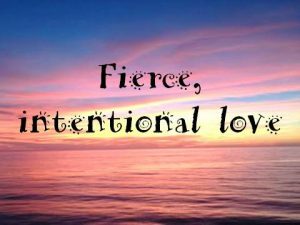 Parenting, especially adoptive parenting demands a fierce, intentional love. Because of adoption's inherent duality--the coexistence of gain and loss, grief and joy--both parent and child have emotional raw points that can trigger one another. When we are in emotional meltdown, like the scenario described in Tip 3, we must remind ourselves of that soul-deep yearning that propelled us to adopt. Remember the impassioned promises we made, if only we could be lucky enough for this child to join our family. We can use that resonant memory to refocus us on how much we value the relationship. Preserving that attachment is far more important than winning an argument at that moment. We are building families for a lifetime. That is the greater victory! Tip Number 5: We must set aside the traditional parental templates. Most people learned how to parent by being parented. They use that experience as an unconscious template to guide them. But, unless we ourselves were raised in an adoptive family, we have no template for how to deal with this adoption complexity. We cannot default to autopilot (parenting like we were parented in our own families.) to handle the unique needs and circumstances that adoption imposes on families. 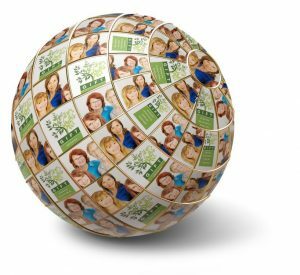 We have no learned experience to tell us how to relate with members of birth families, and overlapping roles. We find ourselves building the blueprint as we go along. 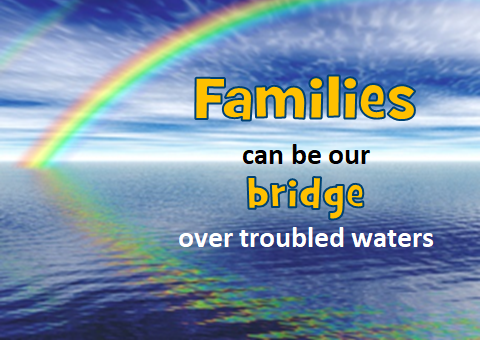 Using threads of love, commitment, mutual respect and empathy, we weave a tightly knit family. 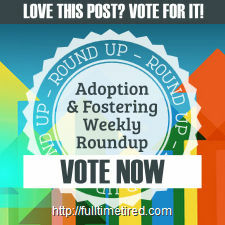 How does being an Adoption-attuned Parent* benefits your family? When Intentionality, Adoption-attunement and fierce love, work hand in hand, what amazing things result? Bonus! Tip Number 6: Consider partnering with an adoption coach. How might your family benefit from working with an adoption coach? What would it be like to work with a coach whose focus was your family, your goals, your needs? Imagine having the guidance of a professional who is also an adoptive parent, who will listen to you without judgement. 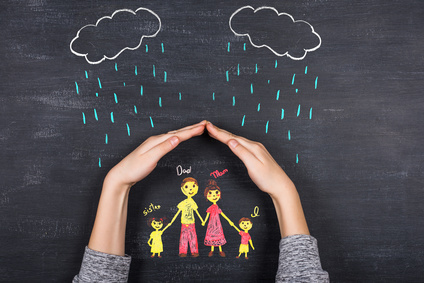 How can this common bond help you achieve your dreams for your family? As a first-time grandmother, I watch my year-old grandson with fascination and amazement. Like all babies, fierce determination drives him to learn. He takes trial and error in stride and innately understands that failure is the cost of mastery. I watch him and imagine how amazing we all would be if we retained that unflappable determination. Experience tells me that eventually, his confidence will diminish. Self-consciousness will compete with his willingness to risk trying new things. Saving face will become more important than working through the embarrassment of being a novice long enough to develop proficiency. 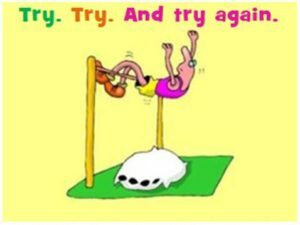 Fear of failure presses kids--and adults-- to avoid trying in the first place or to quit early in the process. This causes the loss of faith in ourselves and we succumb to discouragement. As I write this blog post, the 2016 Olympics plays in the background. I consider these competitors. They did not fall prey to fear. They did not give up on their dreams. They embraced hard work and commitment, tolerated frustration, achieved success via the information distilled through failure and held onto their dreams of athletic excellence. 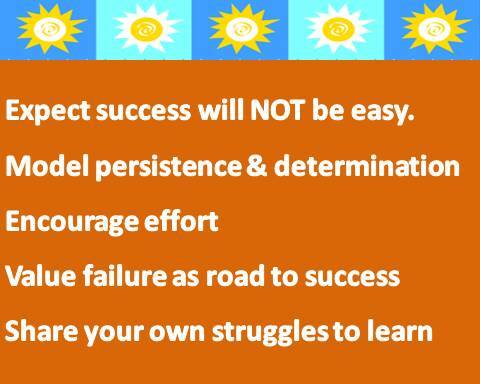 As parents, we can help our kids cultivate determination, persistence and acceptance of failure as an integral part of any learning process. Another figure well-known for his determination comes to mind. Inventor, Thomas Edison who famously quipped, "I know several thousand things that won't work." His life serves as a wonderful model for persistence through failure. What made him so resistant to discouragement and surrender? 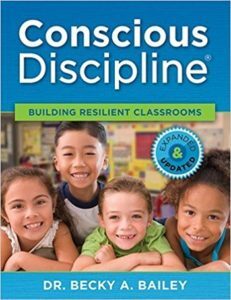 As Intentional Parents, how can we help our children be strong, confident and determined? How do we teach them not to fear failure? No surprises here. No magic. Our most effective tool is the way we live our lives so that we model what we wish our kids to learn. All parents know that toddlers study us to learn about their world (flush things down the toilet, unlock baby gates, open cabinets, etc). This learning-through-observation never stops. Whatever their ages, kids watch us and learn. We must always remain conscious of this fact and be very intentional about what we are modeling. First, set an expectation that success will NOT be easy. Emphasize how often we practice, rehearse, refine and repeat our efforts to learn and perfect our skills. Make clear that we expect to see the similar fits and starts in their lives. Assure children that we do not expect their proficiency to come easily, quickly or without stumbles and resets. Second, show kids that learning is a lifetime process not just something that happens in the classroom. Let them hear about the challenges we face as adults which require our persistence and determination until we succeed. Third, encourage effort. Talk about the tasks and skills which we are committed to learning both for work and for personal pleasure. Remember to note our own encounters with the reality of "two steps forward, one step back." Talk about failure in terms of how it propels learning instead of with an eye to fault-finding, comparing to others or belittling the lack of success. Convey an attitude of confidence that says success is possible. Do not play the blame game. It's a dead-end that distracts our attention from revising to fault-finding. Dreams are important. They spark our creativity, however, they are "future oriented” only. We must help them move beyond "magical thinking" and exemplify for our children that it takes energy and discipline to accomplish dreams--for children and adults. We must model through our own lives that continual practice eventually lead to “unconscious” remembering and doing. Utilizing feedback fosters flexibility that bends us in the direction most needed. 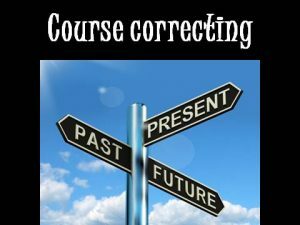 Instead of regarding mistakes as disastrous and dream-ending, we can teach kids to regard them as a way to expose needed adjustments that inch them closer to the fulfillment of their dreams. How might your family benefit from this five-pronged approach to life as a learning conversation. What possibilities might it open? How might it strengthen relationships? Practice this for two weeks and notice how it influences family morale and then share your thoughts with us. 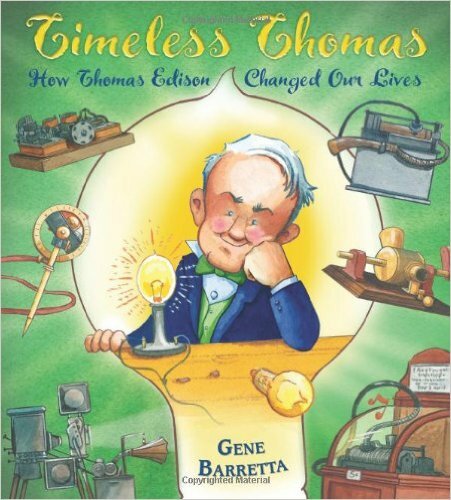 For a fun family read, that focuses on learning through failure, check out this review of Timeless Thomas written and illustrated by Gene Barretta. It opens with the lines, "Have you ever thought about inventing something of your own? You're never too young to try." What a fun invitation to spark a dream in a child's mind. Heck, I will paraphrase that quote and say, "You're never too old to try."